"These are some of the best young wines coming out of Canada today"
Tom's work is featured in hundreds of publications worldwide such as The New York Times, Architectural Record, The Telegraph, The Wall Street Journal and Architectural Digest. 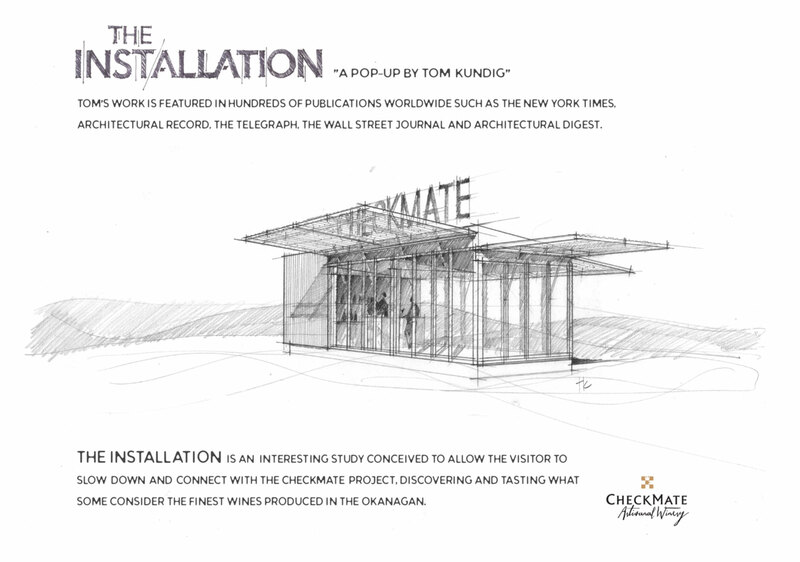 THE INSTALLATION is an interesting study conceived to allow the visitor to slow down and connect with the Checkmate Project, discovering and tasting what some consider the finest wines produced in the Okanagan. We look forward to welcoming you. Tastings available 11:00am-4:00pm daily for the Spring season, between March 16th - May 2nd; appointments recommended.